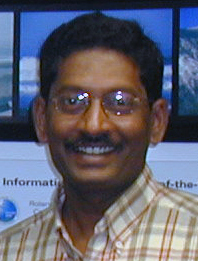 Clive Angeweny received his BS degree in Mathematics from the University of Nairobi, Kenya in 1994 and his MS in Physical Oceanography from Gothenburg University, Sweden in 2002. He joined the Kenya Marine and Fisheries Research Institute in 1996 where he has been working in the physical oceanography department. His area of interest is in wave induced circulation in coastal areas and oceanographic data management.